The long story of this recipe is that it was really an attempt to recreate the most amazing chicken tacos from a little place in Houston called 100% Taquito. I know, I know, the name is bad. The name actually kept me from trying it out for many years. 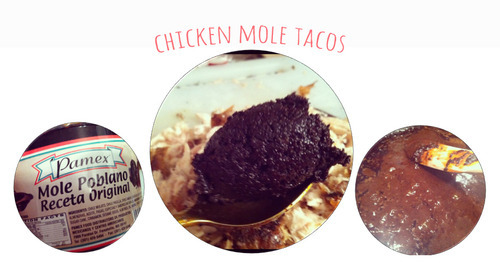 But once I had their chicken mole tacos, I was 100% converted. 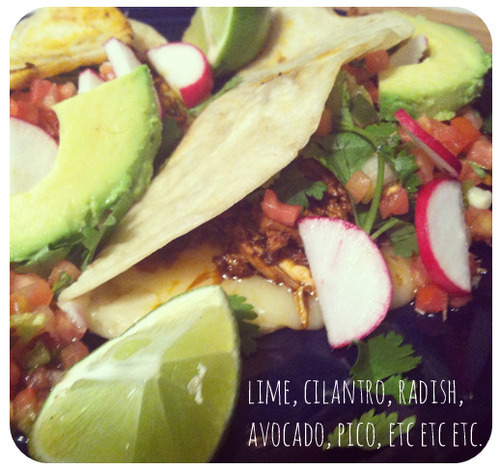 Making these tacos cured my tastebuds’ homesickness, if only for the day. Which is a great thing. The short story is that they’re delicious, and you should make them. 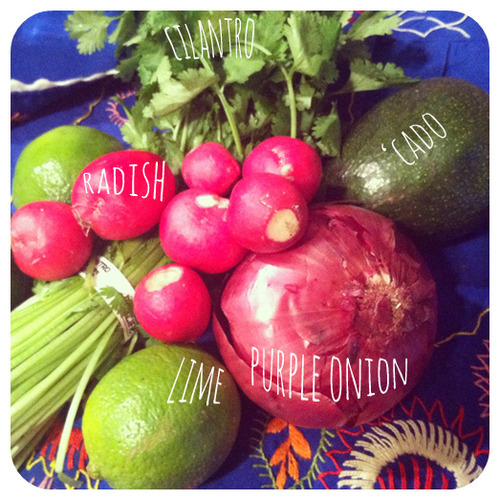 cilantro, lime, sliced radish, avocado, pico de gallo, etc etc. I started with a two-pound roasted chicken from whole foods. 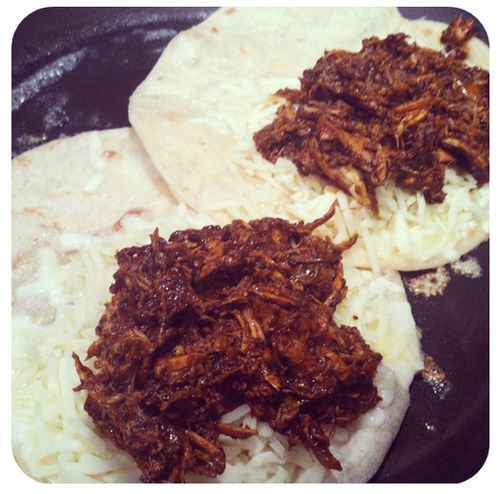 I think that next time I make these tacos, I’ll roast my own chicken, rubbed in mole paste. But this time, I was hungry and feeling crummy, so I skipped that step. I pulled the entire chicken from the bone using two forks.